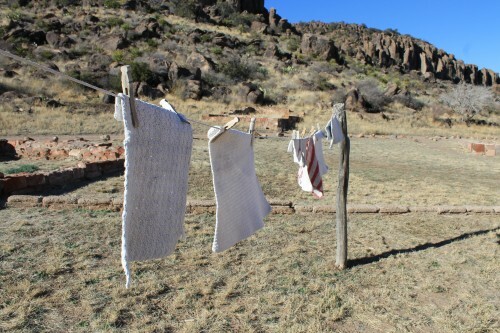 The sound of the bugle call still echoes every day at the Fort Davis Historic Site. After the Civil War, two regiments of Buffalo Soldiers served here. Jeremy Bentley’s great-great grandfather, George Bentley, came to Fort Davis in April of 1868 with the company K of the ninth cavalry. “His father was a white man, and his mother was a black woman,” says Lonn Taylor. A longtime historian at the Smithsonian Institution, Taylor has studied George Bentley for the Texas Historical Commission. “When he took his discharge from the army, he married a Hispanic woman in Fort Davis and settled down in Fort Davis,” says Taylor. That woman was Concepción Rodríguez. 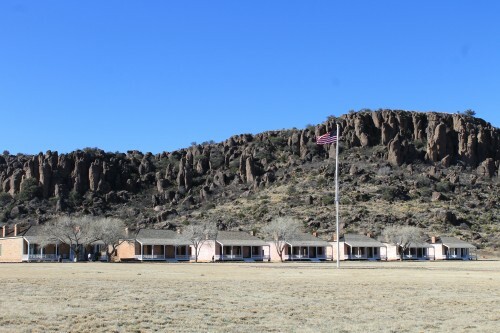 Only a handful of Buffalo Soldiers remained at the fort when their military service ended. After marrying Rodríguez, George Bentley built an adobe house. He died in 1923, but the house and his descendants remain. 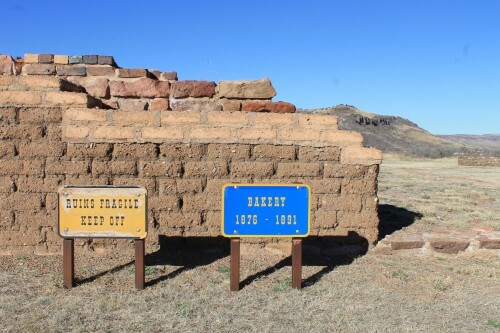 Last year, Taylor proposed that an historic marker be installed in Fort Davis. It was intended to commemorate Bentleyville. But when he spoke to the family, he met resistance. “It turned out that there was one member of the family who was not happy with the idea of having it publicly known that he had a black ancestor,” says Taylor. Race isn’t the only factor here. It’s rumored George Bentley killed a Comanche infant during his service. Jeremy Bentley believes this old story may be part of the reason why certain family members are uncomfortable speaking out. “I would imagine that that wasn’t something that they wanted to publicize, or be known as,” says Bentley. He says the family’s reluctance to acknowledge their black ancestry is generational. “As far as the way my grandfather describes it, it was just kind of a little dusted under the rug,” he says. In Marfa, Richard Williams is descended from another Buffalo Soldier. “We’ve known it since we were kids. ‘Cause my dad would tell us, would give us the story,” says Williams. His ancestor was John Williams, the son of a runaway slave and a Seminole Indian woman. Richard Williams says most members of his family identify as Latino. But he says his own black ancestry is clear to anyone who sees him. He believes some descendants of the Buffalo Soldiers fear the discrimination African Americans have faced throughout history. 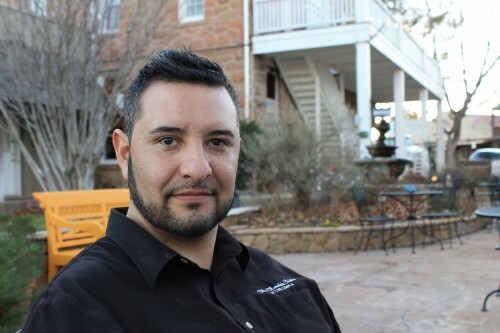 Growing up in Marfa, Williams experienced his own share of discrimination. He says it was a product of the era. In Fort Davis, the project to erect a marker in Bentleyville was ultimately abandoned. But Jeremy Bentley is proud of his great-great-grandfather. He says he wants the Buffalo Soldiers’ legacy to be honored. “I think it was their time to kind of change history, as far as being part of the United States and their forces,” he says. Jeremy Bentley hopes to revisit the project in the future. And he wants to recognize the achievements of George Bentley. “Through all that has been discovered, I hope that positivity comes throughout this. It’s very endearing to find that people are interested, people who want to celebrate what one’s family has gone through, and I think anyone would feel the same,” he says. For many Buffalo Soldiers, military service provided opportunity at a time when black men had few options. Some, like Bentley and Williams, purchased property. They started families and held steady jobs in town. For their descendants in west Texas, the question remains: how will they be remembered? 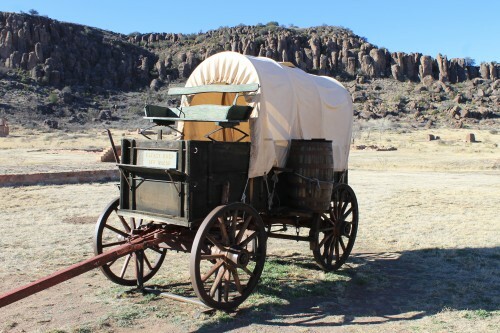 This entry was posted in KRTS News and tagged Bentley, Buffalo Soldiers, Fort Davis, Lonn Taylor, race, West Texas, Williams. Bookmark the permalink.